The deeper the foundation, the stronger the fortress. Keep this in mind when it comes to the training of your employees. For your company to be successful, it needs to rely on personnel that knows exactly what they are doing and sticks to the principles of your business. 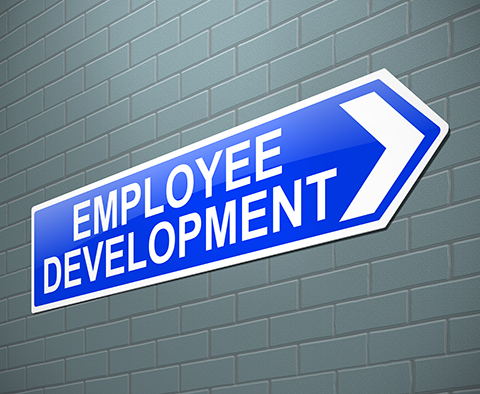 Many companies find employee development opportunities to be costly, but the truth is that training your staffing firm employees is one of the best investments you can make. Bringing new hires up-to-speed with expectations and enhancing the knowledge of current staff when changes in your staffing firm or in the industry take place, translates into great benefits for your business. What would you choose? Having a happy or unhappy workforce? Before you answer you should know that employees want to be satisfied and appreciated at their workplace in order to stay. That being said, training your staffing firm employees shows how much you value them. It demonstrates that you are willing to invest in their career growth and see them prosper with your company. When your sales and recruiting teams feel satisfied, then you can expect them to stay with you for the long haul and give their best for the success of the organization. It’s up to you to train them for success. Another benefit of training your staffing firm employees is that it enables them to get a thorough understanding of what is expected from them. If employees are not confident about how they are going to perform tasks and fulfill responsibilities, then it will take them longer to do things. In an industry where time is of great essence, holdups have a negative impact on operations. Enhance the productivity of your workforce by training them to become more efficient. A well-trained workforce is the key to a strong company presence in the industry. Did the last email campaign generate new leads that your newly hired salespeople need to follow up with? Are your fresh employed recruiters reaching out to candidates in an effort to locate specific skills? Are you certain that they are following your company’s procedures and policies? Training your staffing firm employees on a regular basis helps them develop a consistent performance every time they carry out a task. The more they practice, the more familiar they become with situations and the more consistent results they produce. The less educated your employees are around your business processes and company procedures, the more risk they run to make a mistake. The best way to prevent this from happening is with a robust training program that extends to both your new and current employees and enables them to get more knowledge though practice. Keep in mind that practice is the mother of perfection and it helps you locate possible employee weaknesses that you can improve with training. Training your staffing firm employees allows you to minimize errors and strengthen their skills. If you were offered a job from two companies and you knew that only one of them provides employee training, which one would you go for? The great majority of candidates would give the same answer with you; the one that offers training opportunities. Remember that companies that have in place training programs are more appealing to job seekers and especially those in the early and mid-stages of their career. This is because employees prefer to work in environments that give them the opportunity to improve their skills through practice. Training allows you to build a strong employer brand and attract more talent.